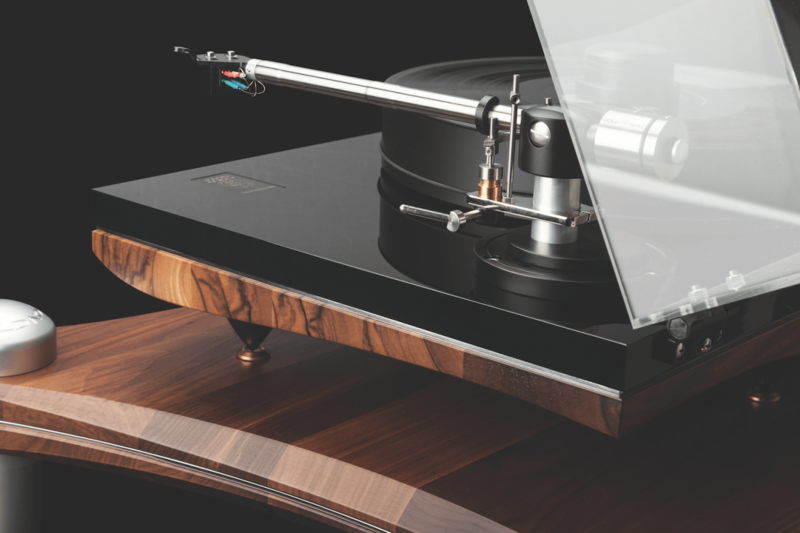 Paul Rigby reviews a stylish Italian-made two-speed belt-driven turntable with a classy-looking aged Italian walnut lower plinth, designed to reduce turbulence and aid sonic stability… Complete with B-7 ceramic tonearm, this beauty will set you back £6,008 and is available here. Right from the off, you notice it: that wavy lower plinth made out of walnut. 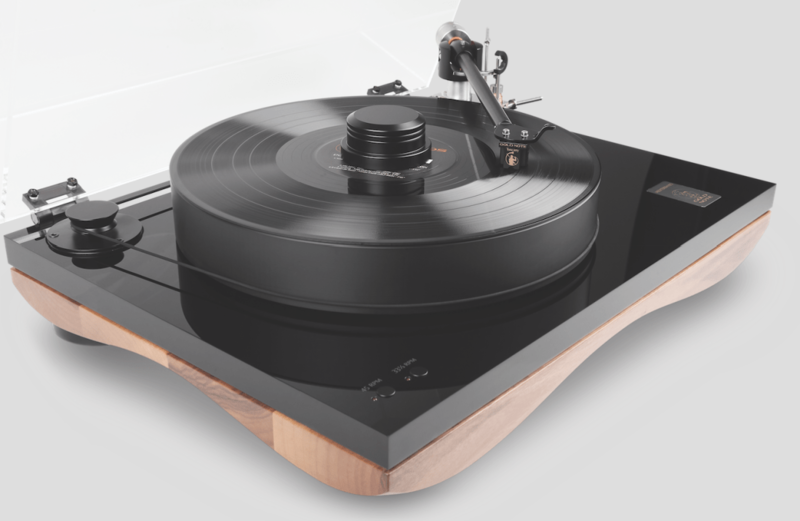 This one feature provides a clue to the intriguing design qualities of this turntable and also the care and thought applied to its construction. This sort of thoughtful application is seen all over the Mediterraneo: a two-speed, belt-driven beauty spanning 470x210x360mm and weighing in at 25kg. The power supply consists of a simple switch-mode block, plugged into the rear of the plinth which, at first glance, looks rather dubious: but this diminutive power supply is all that the turntable needs… in fact, it’s actually too much. Six times too much, to be precise, because the motor is “frictionless”. The top of the plinth features the speed selectors, while the platter is made from a dense Sustarin polymer material. The bearing includes a 5mm tungsten ball bearing with adjustable brass seat, in a polished bronze case. Oddly, you place the platter on top of the bearing during installation, then the central spindle – a separate item known as a Split-Spindle – is speared through the centre of the platter and screwed into the bearing beneath, adding to the rigidity of the rotating system and offering better alignment, while avoiding unwanted oscillations. A dust cover is included, and easily removed using slide on/off hinge brackets. The included 9″ B-7 Ceramic tonearm features a moulded headshell that includes a built-in finger lift. 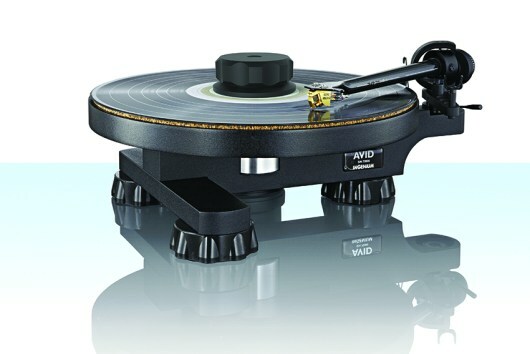 This is awkward to use and designed poorly for a secure finger position – the one speck of dust on this fine turntable design. The arm also includes four ball bearings, supplied by the German outfit GRW. Including a 10g mass with adjustable azimuth and VTA, and a wire-based anti-skate, the tonearm’s tube is titanium-based, while the internal wiring is AWG36 Hyper Litz shielded 99.9999% OFC. A stainless-steel counterweight is included, but different-sized weights can be supplied, if required. 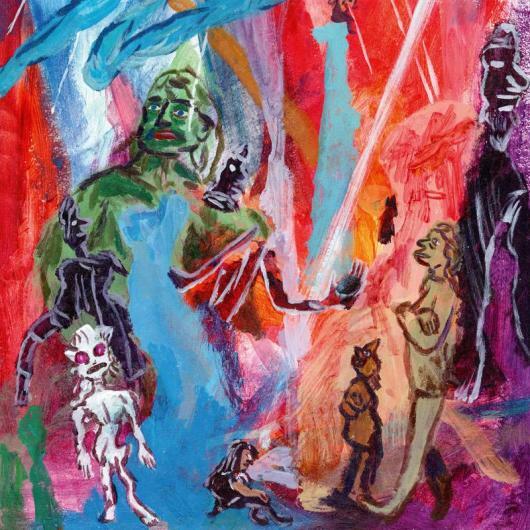 I play a mixture of rock from David Bowie (Low) and jazz vocal from Eydie Gormé. Fitting a Koetsu Black cartridge, the turntable shows a good basic discipline, with no bright mids or muddy bass. In fact, the bass is honed and never shows any excess fat. This helps the pace of the music to skip along without any dragging. On the original pressing of Gormé’s With All My Heart and the track, Don’t Worry ‘Bout Me, I notice that the included stabiliser veils the mids a touch. 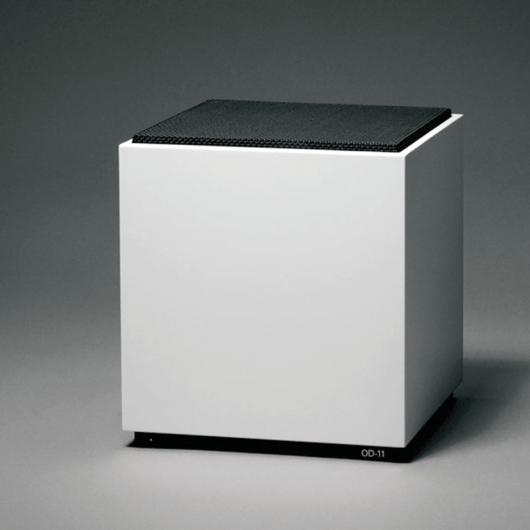 A replacement third-party HRS ADH adds a sense of grandeur to the music. 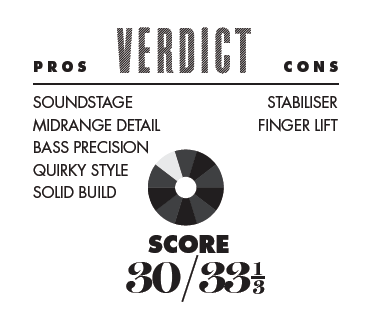 The result is new-found space, air and instrumental separation, plus boosted bass power and reverb tails on the ride cymbals. If you buy the Gold Note, replace that stabiliser. In our listening test, Gormé´s vocal is full of breathy emotion and dramatic crescendos, while remaining beautifully clear and sweeping. The Mediterraneo offers a mature sonic approach, promoting confidence and always sounding controlled. A stylish and slightly quirky design, Gold Note have taken an aesthetic approach that will appeal to many traditionalists in terms of its style and form, but the Mediterraneo also impresses in terms of sound quality.